It sometimes seems that the summer months are always filled with romantic getaways and weddings. If you feel like you're being left behind on this boat because you can't afford the same kind of exotic getaways, then fret no more. There's a hidden gem that is often overlooked by the standard couple. 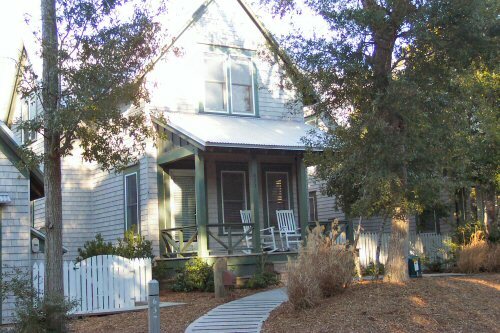 By considering North Carolina beach houses for rent, you can open up an opportunity to have one of the most romantic vacations of your life. The house known as 12 Surfman's Walk is a quiet, private, and beautiful home that's situated close to the water. You can unplug from society and take a break from the grueling rhythm of the city to recharge in this adorable and calming home. Surfman's Walk has two bedrooms and two and a half baths, so if you want to double date your romantic getaway up, then the house can easily accommodate you. It comes with a golf cart, so you can easily drive around the area and down to the beach for hours in the sun. It also has a flat screen TV, so you can sit back with your loved one and snuggle in for some good late evening movie time. For those who want to spend the majority of their time on the beach, however, the house includes two beach chairs and three boogie boards. So, you can work on your tan, build a sandcastle together, or attempt to learn how to boogie board together. Whatever you choose to do, you're likely in for some laughs and fond memories. One of the best features of this house is that's easily affordable. Practically anyone can grab their honey and spend a few days in luxury. So, if you're eager to spend some private time secluded with your loved one or close friends, then consider the 12 Surfman's Walk home. By the end of your stay, you'll likely be sad to leave it.